What are Chrome Plated Supply Stops? 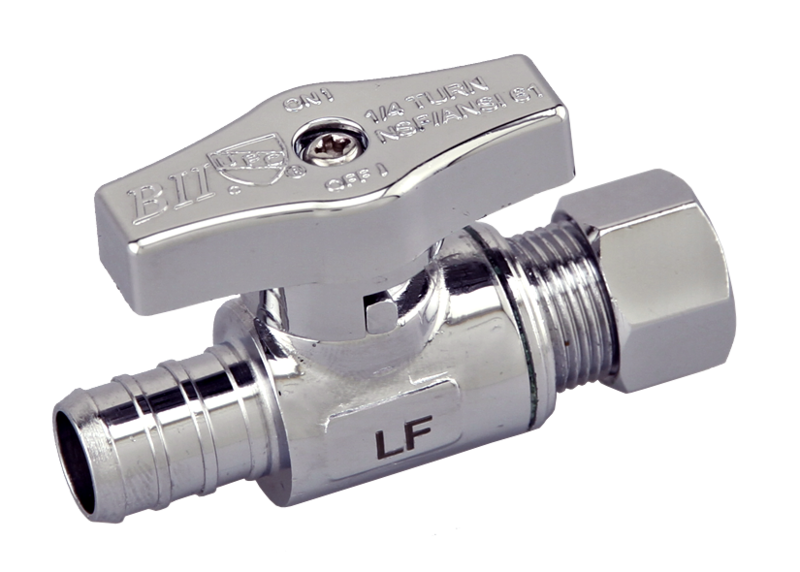 As mentioned above, Supply Stops are a type of low pressure valve. This means that they can be used in many residential applications and are great for handling low pressures. Many designs today utilize a ball valve system. This is becoming more and more common with the growing popularity of 1/4 turn designs that are often seen. There are still "Multi-turn" designs being produced and sold, but they are usually on the lower end of the quality scale. There are different connection types available depending on the type of pipe that you are connection to. They generally come in compression, FPT, PEX, Push Fit, Cold Expansion and copper. There are many combinations to accommodate many situations. 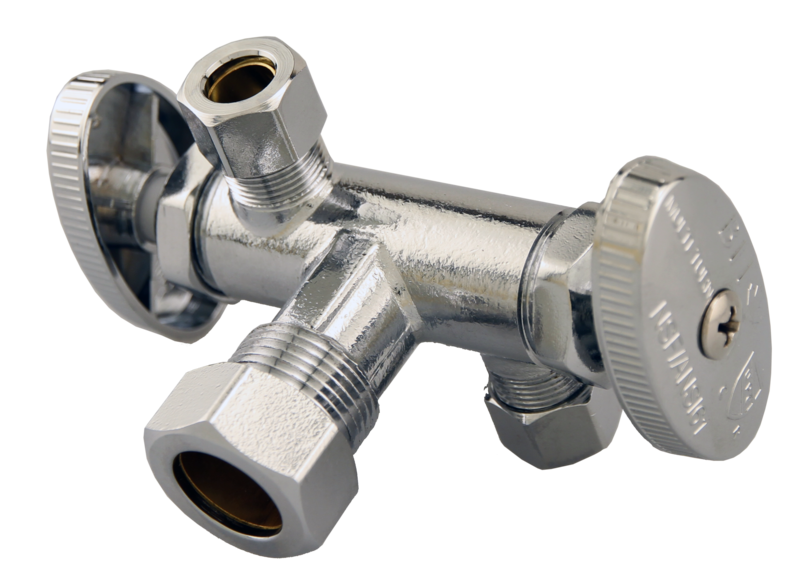 These valves are easy to install as long as you have a basic understanding of plumbing. Where are Supply Stops Used? 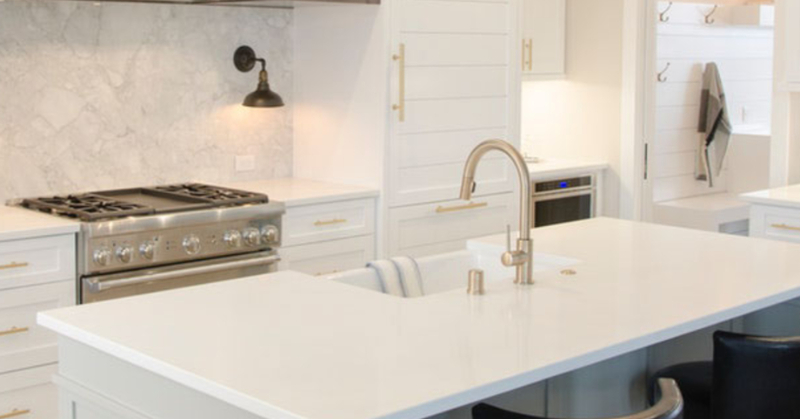 Depending on when the house was built and the preference of the plumber, you may not have these in all the areas mentioned above. There are some that are more common than others (like toilets) where you can expect to find them. What Type of Supply Stops Exist? There are many different styles and connection types available to accommodate difference applications. Below, I will highlight the main types of Chrome Plated Supply Stops you would come across. An Angled Supply Stop is generally used when the pipe is coming through a wall and the pipe needs to make a 90 degree turn to be connected. This is probably the most common Supply Stop that you will see in a house. A dual outlet Supply Stop is used to connect 2 appliances off of one valve. An example of this would be hooking up a drinking water faucet and fridge at the same time. Why is it Important to Use Supply Stops? Supply Stops help you in a number of situations. One of the important ones is when you have a leak that occurs after the valve. An example of this would be if your kitchen faucet started leaking badly and you needed to turn the water off fast. Yes, you could run down to the basement and turn off the water to your whole house, but this take time. When you have a bad leak, you can do a lot of damage in a short amount of time. With a Supply Stop, you are able to quickly reach down and turn off the water to the problem. Another important and helpful use of a Supply Stop is when you are servicing or changing out fixtures. If you need to change out a toilet or faucet, it is easy to cut the water to just that fixture. This way, you don't need to inconvenience a whole house by turning off the entire water supply. If you are a contractor, you should always be encouraging people to have these installed where applicable. This will save both you and them in the long run. If you are selling these, make sure that you supply good quality supply stops. Low quality stops can fail over time creating more problems than they solve.